It is safe to say that 2011 has been a good year for Meaghan Smith. The Nova Scotia resident walked away with the Juno Award for Best New Artist this past March while having won the East Coast Music Award for Pop Album of the Year the following month for her acclaimed 2010 album The Cricket’s Orchestra. That record earned praise far and wide, including some sweet press from The Globe & Mail as well as People Magazine. Smith is currently crossing this wonderful country of ours performing shows in support of her newest release, a nine-song holiday release called It Snowed. Comprised of both original songs as well as holiday classics, It Snowed is Smith’s first project of new music since The Cricket’s Orchestra. Head over to Meaghan’s website to see if she is bringing her holiday show to a city near you. 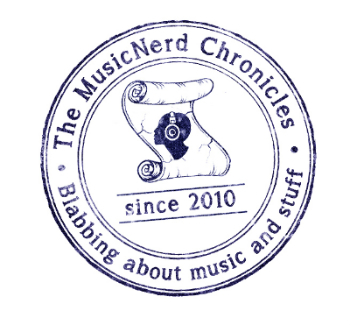 Meaghan recently took the time to have a lovely chat with The MusicNerd Chronicles in regards to It Snowed and why the holidays are her favorite time of year. Was making a Christmas record something you had planned to do for quite some time or was this a relative spur of the moment decision? Smith: I love this time of year! It really is my favorite season and so I wanted to put out some new music while my fans wait for the next record. I figured I’d just kill two birds with one stone (I hate that saying but you get the gist) and put out an album made up of some of my holiday favorites as well as a few original Christmas tracks. Smith: Do I have to pick one thing? Cause I can’t. I love the parties, the getting together with friends and family, the snow and cold, the ice skating, the food I let myself eat that I don’t eat usually through out the year (like after eight mints and peanut butter balls) and of course gift giving. I try to make a lot of my gifts so that’s always fun. This year I just so happened to make everybody a Christmas record. Was there any significance to the tracks selected to be a part of It Snowed? Smith: Absolutely. I wanted to choose songs that were familiar but I didn’t want to do them in a really straight forward way. I wanted to give a fresh make over to my favorites. Baby it’s cold outside is a song that has been covered by so many artists, but I love it. So I decided to ask my friend Buck 65 if he would want to do a duet with me. He said yes! So we got to work building the track. I thought that would have been enough, that just the difference in our voices and the modern sample based sounding track would have made it special, but when it came time to record our voices, I opted for one last twist and reversed roles with him. So I’m the one doing the tempting and he’s the one trying to get away. It gives that great old classic a totally new spin and I’m so happy with it. I did the same thing with Little Drummer Boy. I took out the “pa rum pa pum pums” in the singing part and instead let a looped drum do the talking. I did that with all of the covers I selected for the album. How will you be spending your Christmas holidays once your tour has wrapped up? Smith: I am going home to Nova Scotia where I will be hanging out in my snow flake pajamas, sitting by the fire, reading books and eating after eight mints or peanut butter balls. And when I’m not doing that I’ll be getting together with friends, making music, ice skating, going for snowy walks, and just generally being as Christmasey as is humanly possible. I can’t wait!